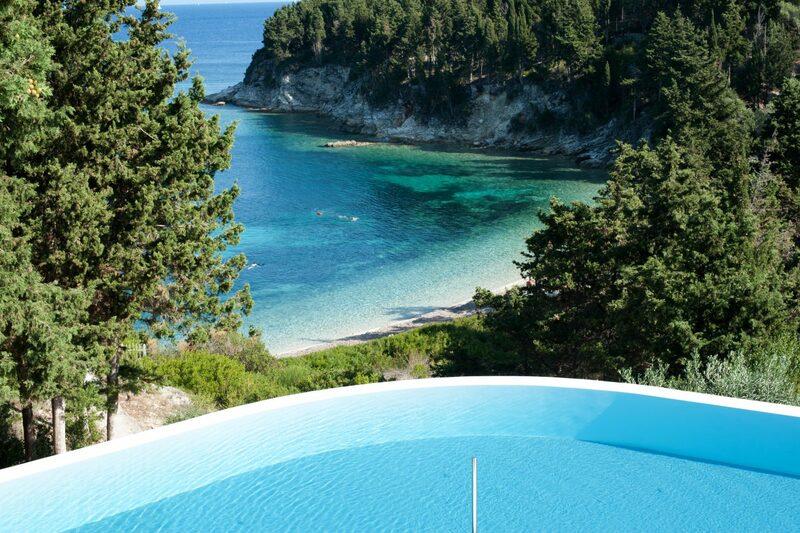 Utter heaven! 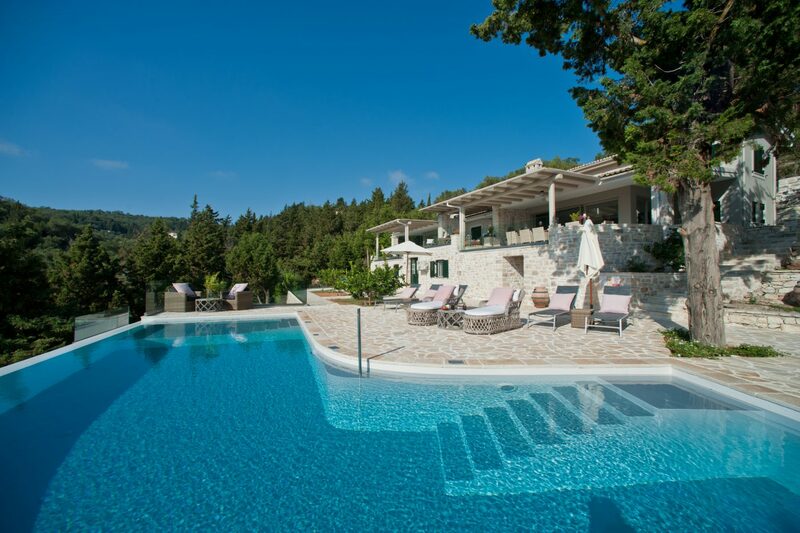 Thank you so much for introducing this beautiful villa to us. 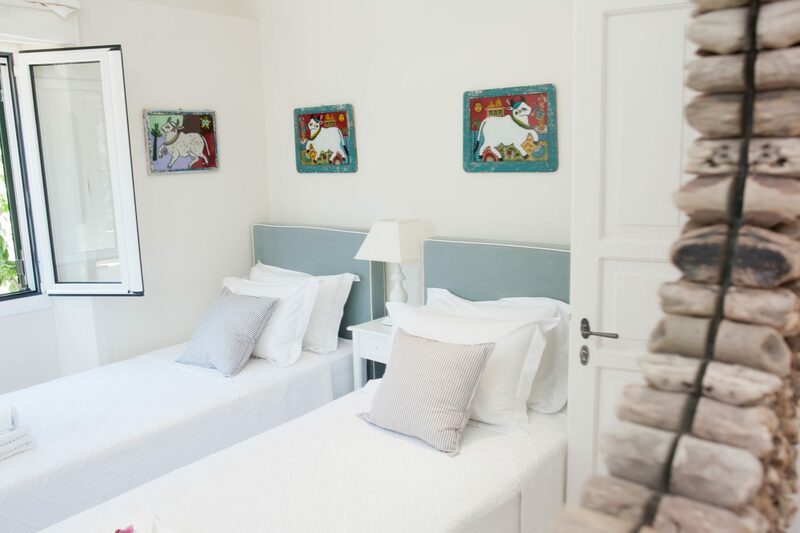 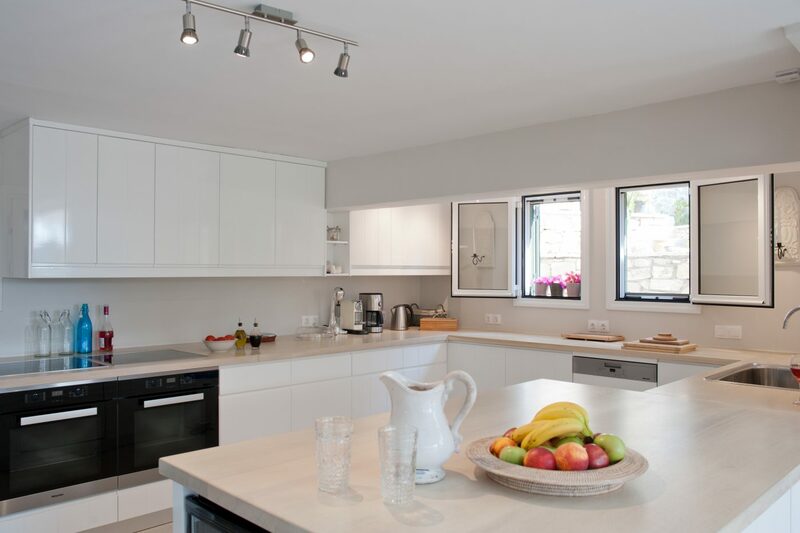 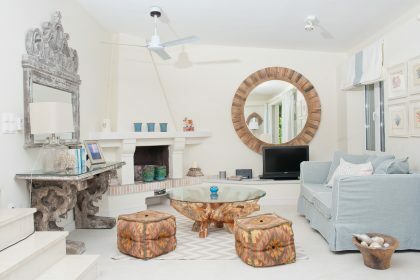 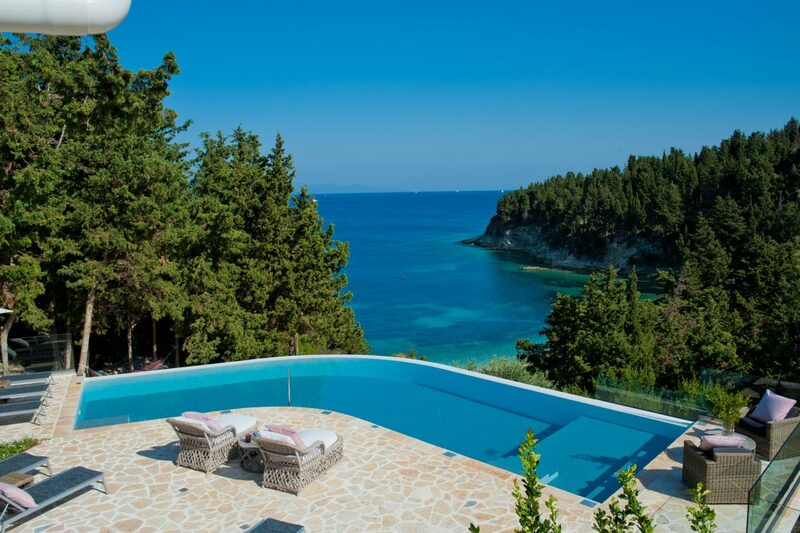 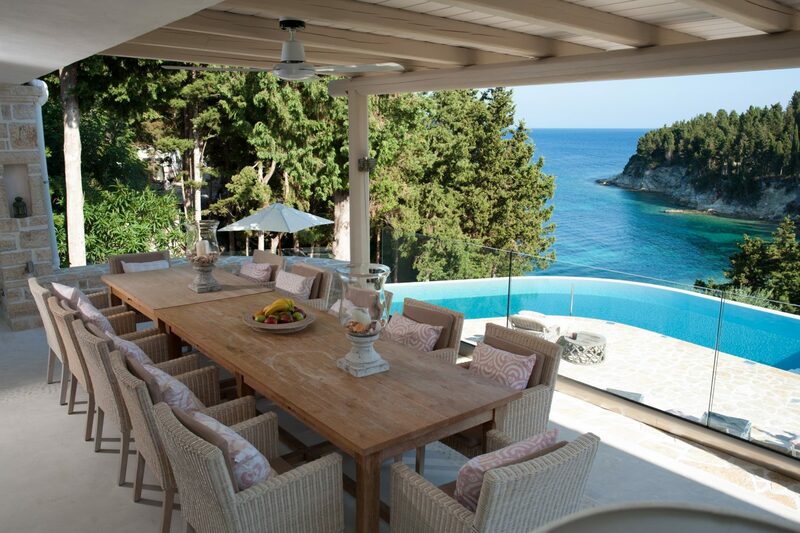 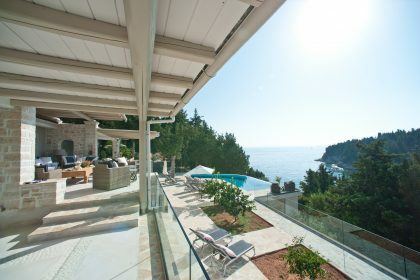 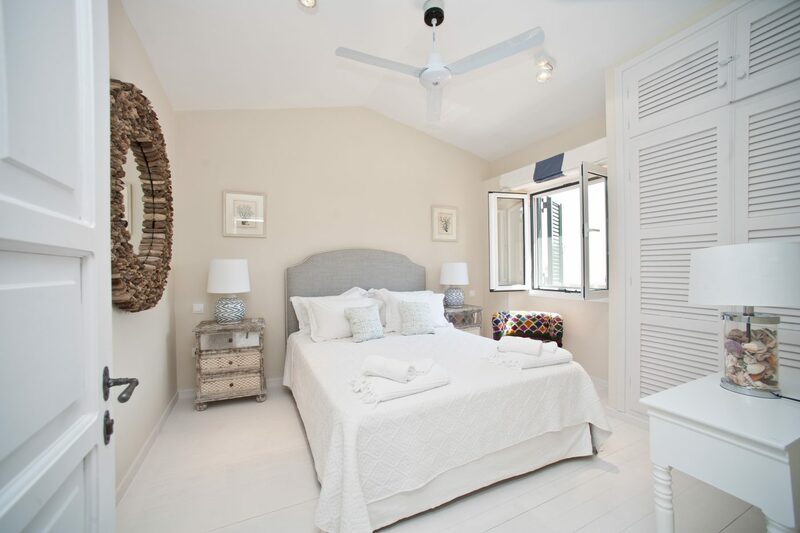 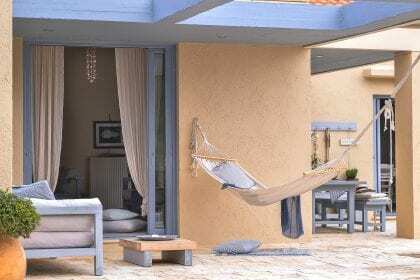 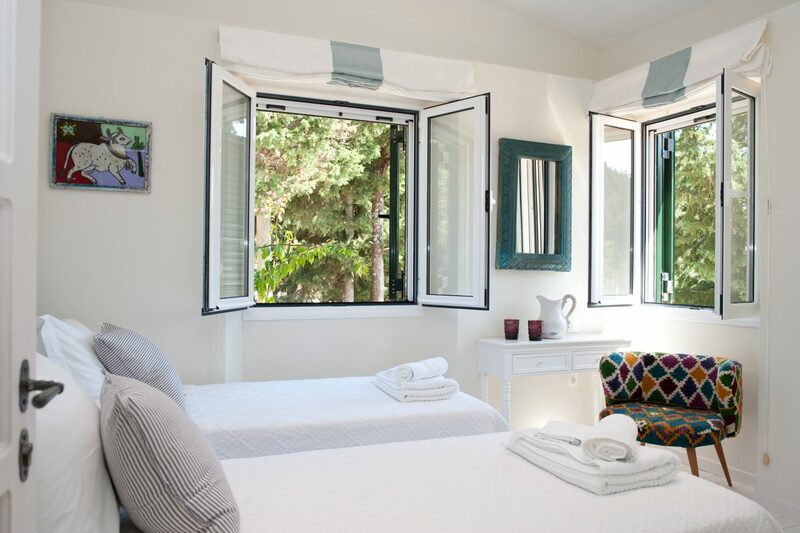 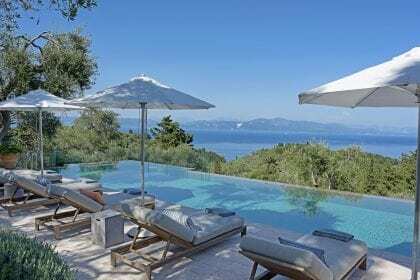 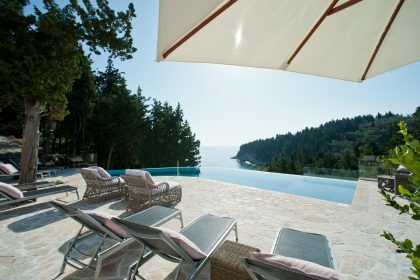 This beautiful house is in one of the best positions on Paxos and we have visited many times. 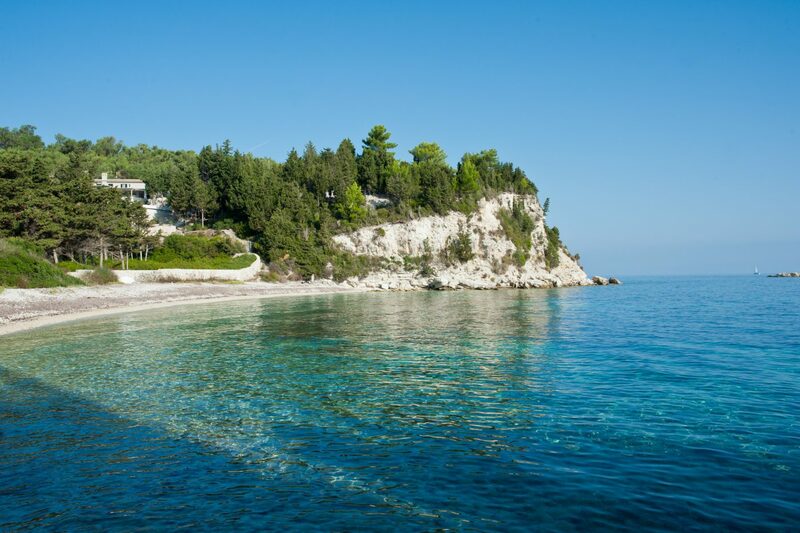 It is just above Kipos beach which is a glorious olive-lined beach and one of our favourites. Wander down the steps (only 60m) to the beach front to see if you can see dolphins early morning (they have been spotted here). The house is at one end of the beach so is private and a swim before breakfast in the warm Ionian sea is something you probably can’t do at home! 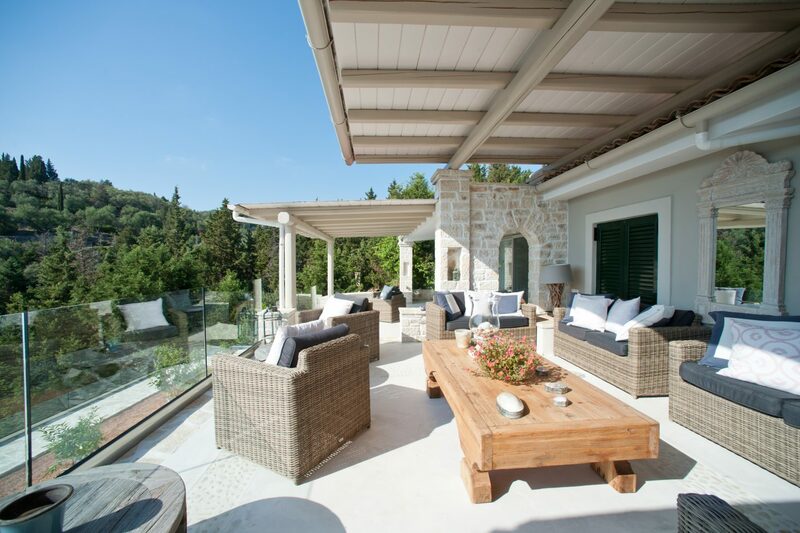 There is a lovely terrace which overlooks the pool and the glorious views down to Kipos which always take our breath away, There is nowhere better to sit and read after lunch – or snooze the lunch off! 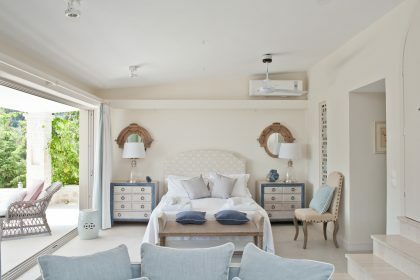 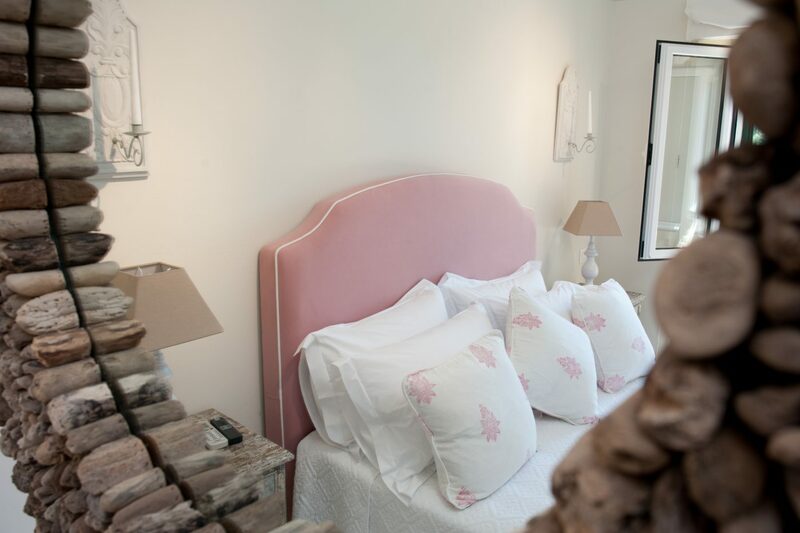 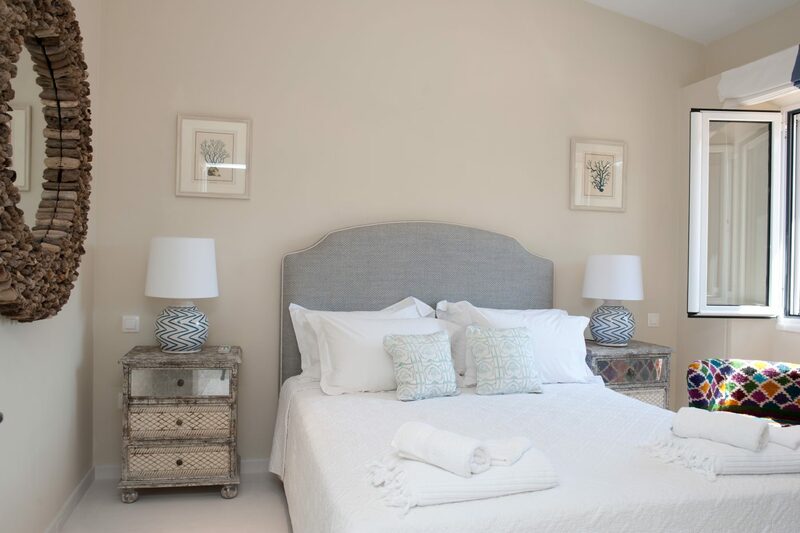 The rooms have been beautifully developed and stunning sofas are covered in gentle shades of light blue. 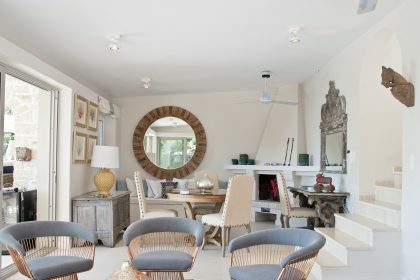 The white walls are the perfect backdrop to the many mirrors and pictures. There is a strong inside/outside sense in the sitting room which boasts enormous sliding French doors out onto a covered terrace with a wooden table. 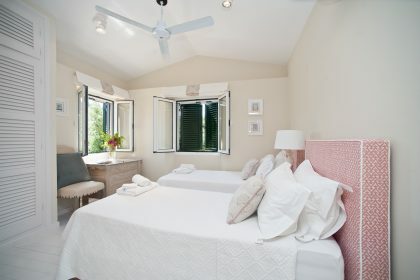 The master bedroom is particularly beautiful with steps down from the floor above. 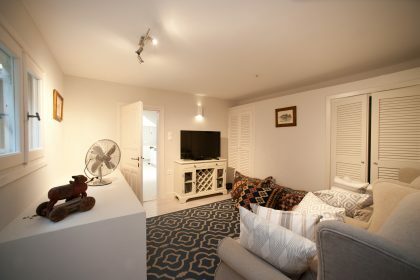 There is a little sitting room at the end of the bedroom and a glorious dressing room and bathroom with walk in shower. 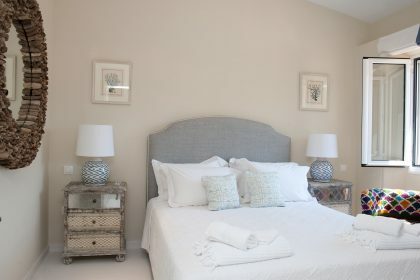 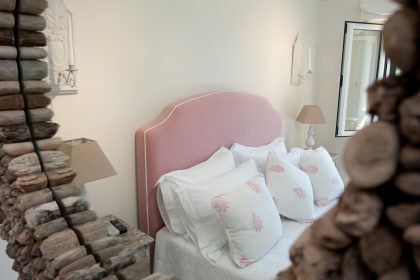 Other bedrooms have wonderful touches and the attention to detail is second to none. 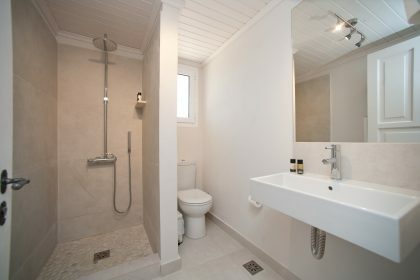 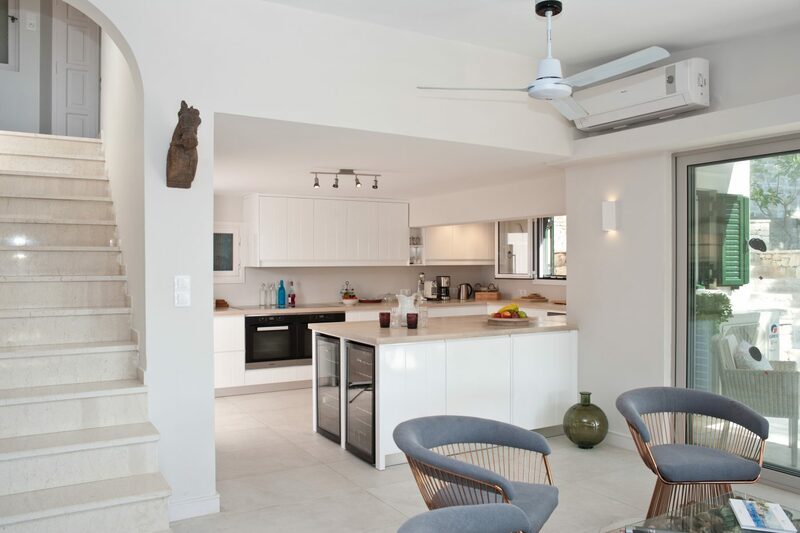 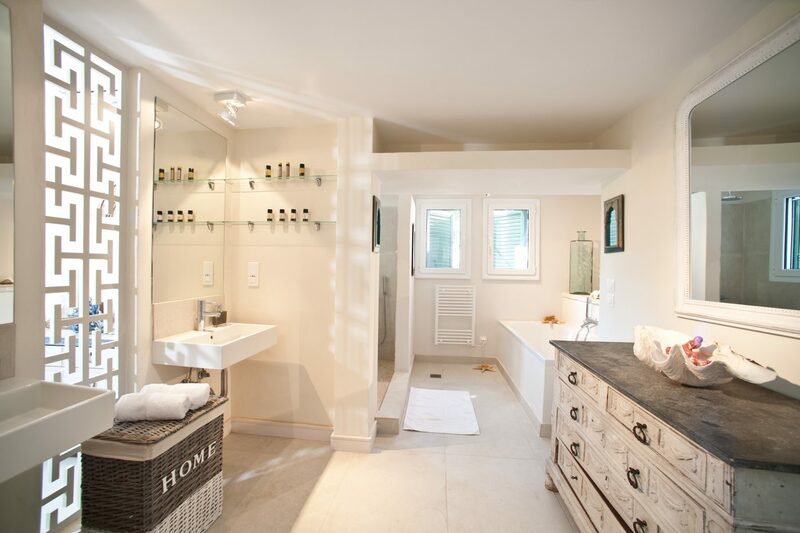 Bathrooms are immaculate and cool wooden floors in the bedrooms are comfortable under foot. 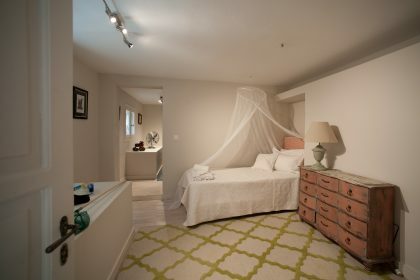 We are so proud of this house and our guests love it too.